Joni Farthing, Regional Director of The Athena Network, advises that choosing the right network group to join is crucial. Networking is everywhere these days. How do you decide which events to attend when they all take time and many take money too? There are three main types of network: deep, broad and niche. Join one network from each category as they all bring different benefits to your business. Typical of deep-networking is the members-only group where each member represents a different profession. This builds loyalty and members swap ideas, advice and recommend suppliers and potential clients to each other. 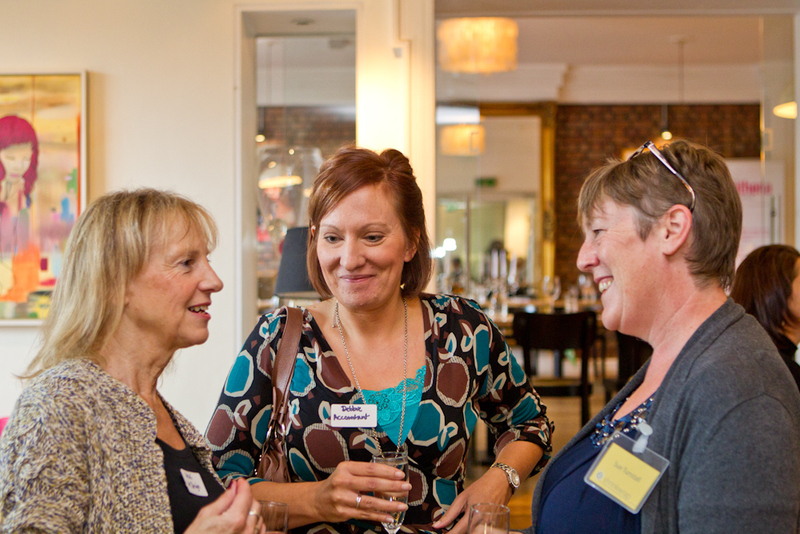 In the past it was usually men who networked like this in groups such as the original Rotary clubs but today it is a common form for women’s networking e.g. 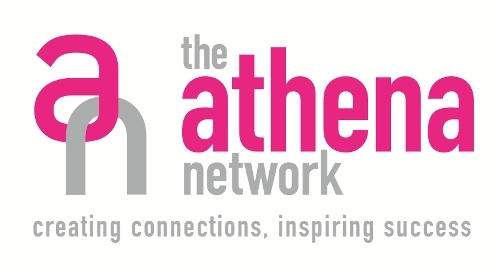 The Athena Network. Broad networking gets as many people together as possible. People swap business cards, introduce their business and ‘work the room’. This is a great way to meet lots of people very quickly. But they won’t easily remember you, so ensure you put in the time later to follow up the potentially useful contacts and arrange individual meetings. Business Biscotti, and Lloyds Business Breakfast (Bristol Golf Club) work in this way. Niche networking looks for numbers too, but where an industry or aim is shared. These meetings are a great way of looking for finance, staff or getting a new job. They help you understand the way the industry works and get the latest information and news. The Wedding Tweet-up (Goldbrick House) is a delightful example of this as is Media First Tuesday (The Square Club). You simply won’t have time to do more than this. After all networking is just one part of your marketing strategy and you have to run your business too. As with all initiatives, research online and ask others. Most groups allow you to visit so go along to several in each category before deciding which to commit to. Remember that it’s not the number of people you meet but the relevance and ‘quality’ of those contacts that makes a network cost-effective over time. Many of us focus hard on our actual business, taking great care to get the client offering or product mix right; ensuring both quality and service, and working hard to pitch our prices at the right level for our customers and the straightened times we are living in. However, many firms, especially small ones and start-ups, pay considerably less attention to how they market themselves – the words and images they use to convey who they are and what they do for their customers. Does this matter? Yes it does. How do you react, when, for example, you see a menu in a restaurant with spelling or grammar mistakes, or (my personal bête noire) a missing or incorrectly placed apostrophe? Or (even worse), an advert which looks as it’s been thrown together in a hurry? Most of us, consciously or otherwise, will perceive that business as sloppy, poor quality, and unwilling to pay the level of attention to detail that we hope they would extend to us, as their customers. In short, it makes us far less likely to spend our hard-earned cash with them, however good we may have heard them to be. By contrast, if we are presented with a flyer or brochure, or for that matter an email or website, which is well-presented, clearly written, nicely designed and, all in all, a pleasure to look at while telling us what we need to know, the chances are we will automatically feel well-disposed towards the company concerned, and far more likely to trust them with our money. So, it may be time to do your business a favour. By spending a little more time, care, love and attention – and probably a few pennies, though it need not cost much at all – on your presentation, you should dramatically improve your bottom line. Large firms tend to budget for spending at least 15% of turnover on marketing (which may also include market research, advertising and other more costly activities) – but small ones will find that just 3-5% can make a real difference. It will not only help bring in new clients, and probably encourage existing ones to upsell or upgrade; it will also help create the image you want to build a healthy future for your company. Top #5 Secrets to create a Great Business Website… On a Budget! In these heady days of rapid digital innovation, maybe more than ever before, there are opportunities out there for any budding entrepreneur with a big idea but only a small budget. So what are the tricks to creating an online business on a budget that will not only be a success, but will last? These days, you don’t need to be under 17 and have spent the last 5 years, bedroom-bound and glued to a computer screen to be able to create your own all-singing and professional looking business website. With online DIY website building tools such as WebEden.co.uk, (admitted bias!) even a total beginner can choose from literally 1000s of pre-designed templates and, by using very simple drag and drop software, create the exact look and feel they want for their new venture. Beginner packages are free with WebEden and this includes your website, it’s hosting and a domain name. Accounts can be upgraded at a low monthly cost to gain additional services, email boxes, extra bandwidth etc . That’s not to say that you’re very proud of it and think the text you’ve written is witty and clever – that is to say that it stands out, that it’s impactful and gives a stylish and efficient demonstration of your company and what it offers. Utilise the ever more comprehensive analytics packages on your website, such as Google analytics for example. With these free tools you can track and analyse seemingly unlimited details of website visitor patterns and behaviour. How are your customers finding you? What time of day do they visit? What pages do they dwell on and which do they leave immediately? By studying this data, you will start to build up a vivid picture of who your customers are, what they like and, more importantly, what they don’t. Being a successful business on the internet, or anywhere else, is not necessarily about doing things differently than your competitors, but doing them better. Make the online experience for your customers as engaging, efficient and satisfying as possible. What better way to start than to educate yourself on what others in the field are doing, both poorly and brilliantly. Websites are never finished. The most successful are commonly those which are nurtured, tended to consistently and respected as an integral part of the business. LASTLY – Look to the FUTURE!! Among others, American banking powerhouse Morgan Stanley is predicting that the mobile web will be bigger than desktop internet use by 2015. Having a mobile optimised version of a business website has become essential. For just a few pounds a month, your website can be fully optimised for every mobile phone screen. This means they are far quicker to load and easier to navigate for any of your potential customers on the move. Many of our readers and advertisers at What’s On 4 Me (www.whatson4me.co.uk) are business owners already or they are looking to turn their hobby into a business. If you have a service that will help them – get in touch now marilyn@whatson4me.co.uk – we’d love to hear from you! Tip 1 – What are you looking for? The most important step at this enquiry stage is research. For example, what are your priorities with respect to budget, location, company branding, and number of staff? The answers will be different for every company and lead to different solutions, of which there are many. The traditional long lease is certainly an option which must be considered but there are also serviced offices, managed offices, and shared offices to think about. Further, if you decide that renting any space at all is not suitable for your business but you would like to add a professional feel to it then you could consider a ‘virtual office’. Tip 2 – What are you getting for your money? Be sure to know what is included or not included in the rent. For example, the rent for most serviced offices includes business rates, service charge, phone installation, IT and cleaning. This means that there are no extras which you would need to budget for, such as dilapidation costs or expensive initial capital expenditure on business set up costs or estate agents or solicitor’s fees. In a serviced office, all outgoings are tax-deductible and treated as standard operating expenses. Tip 3 – How much space do you need? You need to consider exactly how many square feet you will need so that you don’t get something too small or pay for superfluous space that will not get used. For offices, allow roughly 100sq. ft per employee. Also consider any storage space that you will require – this is especially important if you are in retail and need an area to store stock. Also think about your growth plans and consider whether there is enough space in the building to allow your company to grow. If in 6 months time, you plan to have trebled the size of your staff, is there the potential to move within the building? This could save on time and costs rather than looking for alternative offices later down the line. Tip 4 – What else is in the building? In the future, would you use a conference room or meeting room? As you grow your business, it may be important for you to arrange meetings with clients and suppliers so you may want to consider an office space where you have access to meeting rooms. You may want to also think about whether it’s important to have a restaurant or coffee shop in the building, if you’re working late, this could be essential for you whereas for others, it could be a perk. Tip 5 – Who else is in the building? Try to find out who else is renting space in the building. You may find out that some tenants could be your direct competitors so consider whether you want to be on the same floor or even the same building as them! You might also find that some companies could be working in your sector so this could be great for networking. PR Expert Janey Lee Grace offers What’s On 4 Me Business Owners 5 Top Tips to Hit the Headlines!! I’m an author, speaker, and I run my own holistic living business but I also work on the other side of the microphone as a Radio and TV presenter and journalist and I’d like to offer you some the inside tips on how to get your brand featured in the media without the need for expensive PR campaigns. Tip 1 – You are the brand and Your brand is YOU. Its worth reminding yourself that its you that people are interested in, so remind yourself of your unique selling point. Remind yourself who your Target audience is and ask what are the problems your niche market has that you can solve? Tip 2 – Become an enthusiastic expert. An enthusiastic, interesting expert could be given opportunities in many different markets to offer information about your company, product or service, and interviews or editorial is usually far more effective and cheaper than using direct advertising. When listening to the radio or reading an article, people like to connect with the person, not merely the goods and services on sale. It’s your authenticity, your warmth, enthusiasm, knowledge, human interest story that makes you different and we know that Clients like to buy from people they LIKE, KNOW AND TRUST – editors, journalists and TV producers definitely want an easy life so you’ll be called time and time again. Tip 3 – Create opportunities to link what you do with current news. Ask yourself what is the journalist looking for ? Where are your opportunities to get your business in the media ? Ask yourself when you last read a news story, heard a radio interview and thought…’We offer the solution to that !’ Keep up with the zeitgeist and find angles to promote what you do to a mainstream audience by responding to topics, if you’re a member of the business ‘twitter-arti’ you’ll know that social networking is excellent for ‘trending topics’ but also ensure that the editors of local newspapers and radio stations have your details on file and are assured you can offer an interesting informative and enthusiastic take on whatever it is that you specialise in. Explain to them just how that could fit with certain news and human interest stories. A lawyer I trained on a one to one ‘Get yourself in the media’ session, knew that the issue of Prenuptial agreements was going to come up, so before the ruling was made he contacted radio stations to offer himself as an interviewee, once the story broke he contacted them again and was indeed used as a spokesman. Set up a survey and turn the results which show your business in a favourable light into a press release, Keep it simple, bear in mind what makes a good story with broad appeal. Make it topical quirky, or controversial ! Remember that poor preparation will result in poor presentation so especially for live TV or radio interviews, choose two main points and rehearse delivering them in 20 or 30 seconds, have a further 5 or 6 bullet points ready and remember an interview is not an exam, stick your own agenda, for great examples of this, listen to any politician being interviewed !